I haven’t made a separate post for Kenner Collector in the past. It’s a web site run by Dan Flarida and John Wooten that is all about the toy company Kenner. Who as we know made many iconic and memorable toy lines, which included The Real Ghostbusters. You thought I was going to mention a certain space movie? While I was looking at the most recent post by Dan, a link in the post lead to another site (Plaid Stallions) who has a link to Wishbook Web. A site that’s all about Christmas catalogs going as far back as the 1930s! 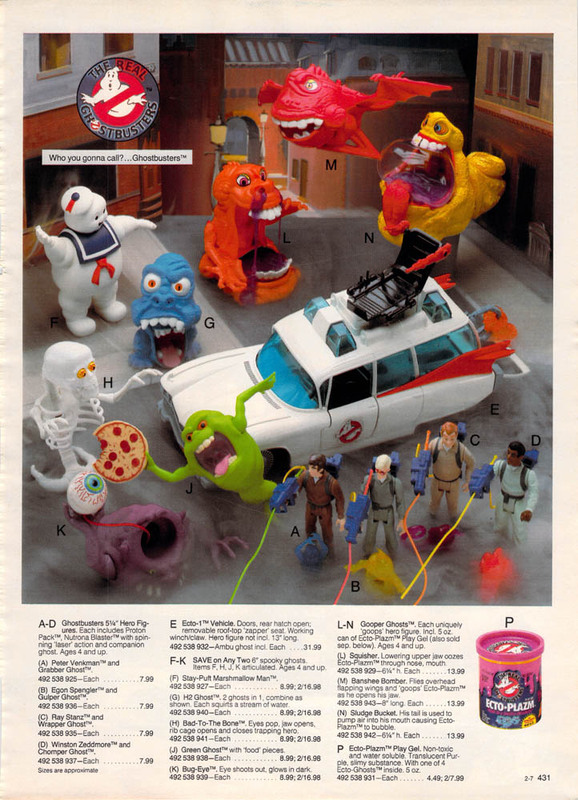 I pursued the limited catalogs from 1987 and up to see if The Real Ghostbusters were in them. 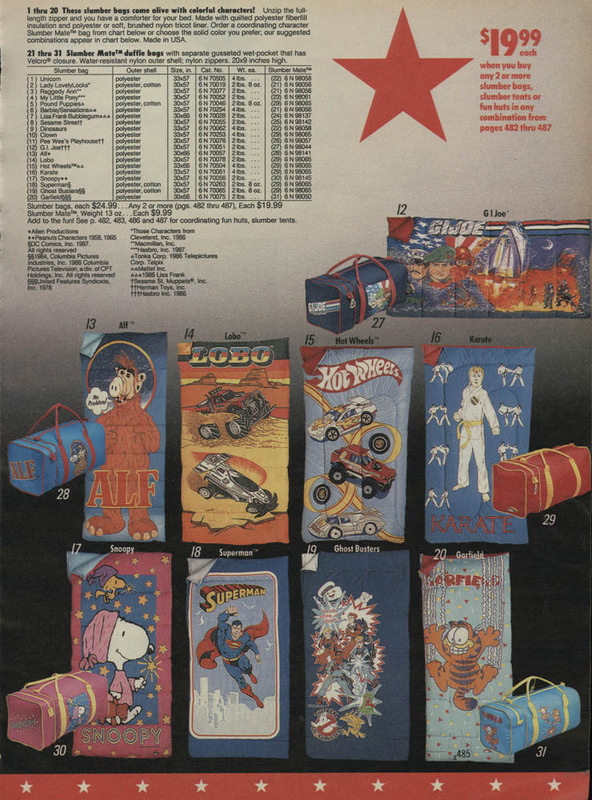 As a child of the 80s I vividly remember looking at Christmas toy catalogs. I didn’t remember as a 34 year old early The Real Ghoatbusters advertising. Fortunately Wishbook Web has Sears Catalogs from 1987 and 1988. Where I found three scans advertising The Real Ghostbusters toys and a sleeping bag. Also feel nostalgic for the Transformers toys that mattered.